Let me start by saying that even though I always have an eye out for design, I certainly do not choose my beauty products based on the way they look. That being said, I have noticed recently that some of the bottles and potions in my bathroom have some really great branding and with these products displayed out on my bathroom tray, they actually look pretty great as well. 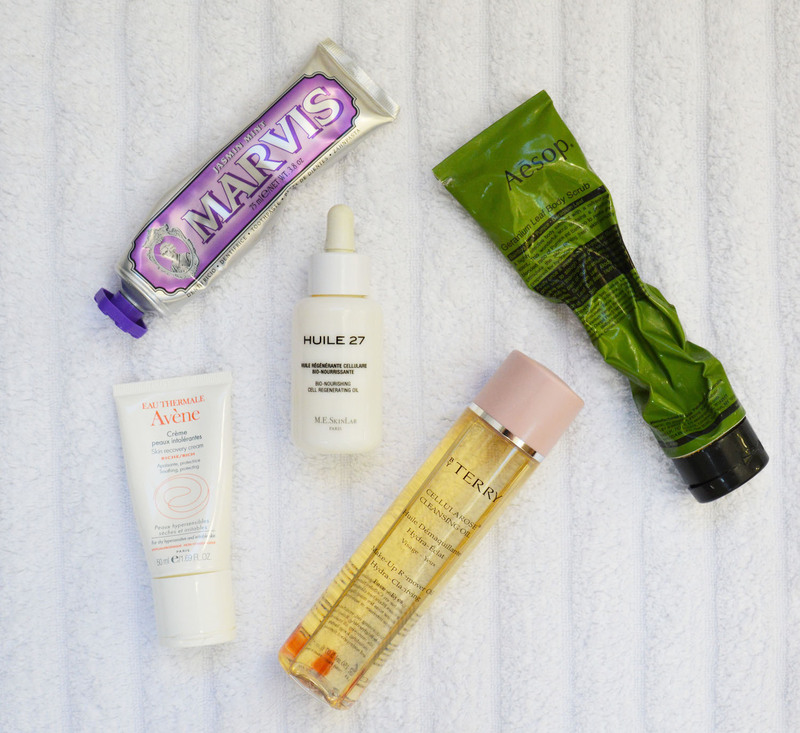 I just wanted to share a few of my favorite ones (these are also a few of my go to products that I use every single day too). v These are designed with a clean and simple vision in mind. The branding is really lovely and I never mind having these products out on display at home. 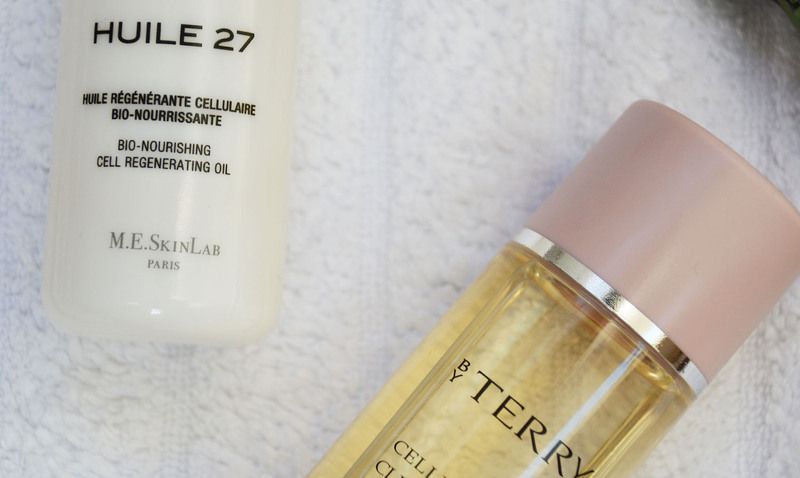 I use the Huile 27 Oil every night before bed on my face (and body sometimes). It is really hydrating and leaves my skin so soft. (The entire Cosmetics 27 range is amazing…esp their face masks). The By Terry Rose Cleansing Oil is hands down one of my favorite products. I use it religiously to remove make-up. It looks and smells incredible. I am a huge supporter of Aesop beauty products. They are a Melbourne brand that uses plant based ingredients. 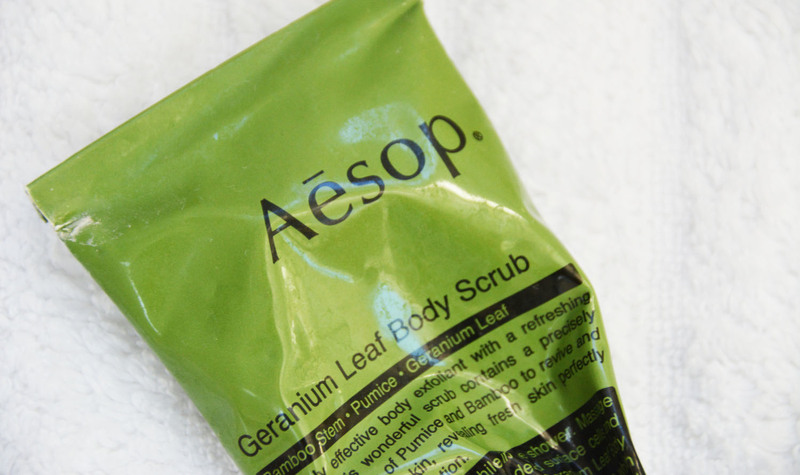 I love their range, but their Geranium Leaf Body Scrub is next level. (side note: Aesop also supports the arts and their stores are all designed absolutely amazing, check them out here). I recently went to a hotel and they had Marvis toothpaste in the rooms. I fell in love with it…the flavour, the cool retro packaging. (note: this is a “luxury” toothpaste so I get it as a special thing or for my guest bathroom.) My favorite is the Jasmin Mint. I think we all have used Avene at one point. I use their skin recovery cream a few times a week at night, it is really lovely on my skin and is extra calming. 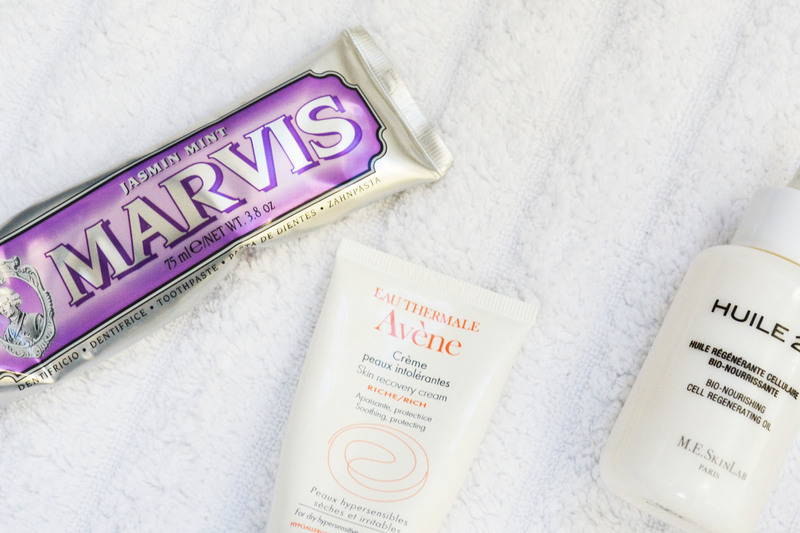 All of the Avene products are simple in design and I love them (good price point too!). Thank you! FLAT 15 Has Been Shortlisted!